Using hanging solar lights and sun light through your windows, you can save electricity and keep your home lit all evening long. 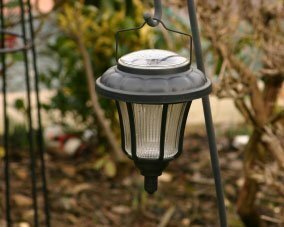 This is a guide about using solar lights for indoor lighting. I would like to submit the following tip to your newsletters. Maybe it will help some folks! 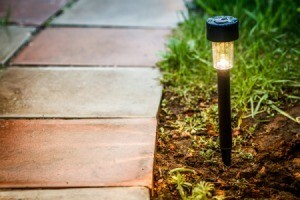 There was a recent tip in the Dollar Stretcher newsletter about using a solar yard lamp during a thunderstorm. I can take that one step further. When I lived with two roommates, we had little extra spending money. We were always looking for ways to save a buck or two. Electricity was one area where we thought we had done enough, but we were wrong! 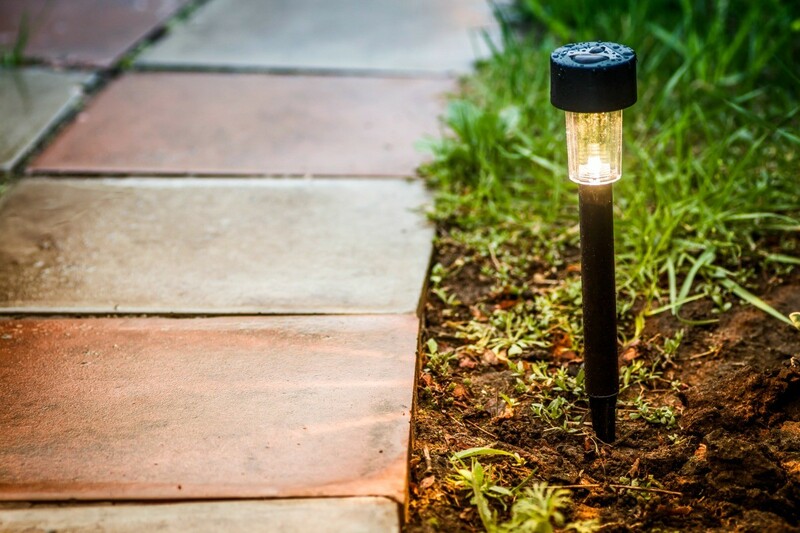 During a trip to a local hardware store to pick up some nails, we noticed that there were two types of solar yard lamps available - fixed (on a spike or stake), or hanging (from a hook, sometimes connected to a stake). We saw that it was only $20 for a three-pack of solar lamps (I've since seen four packs for the same price, on sale). We bought two packs of them and six of those pretty plant hangers that people sometimes use for their hanging plants (the ones that look like pretty shelf brackets, but with hooks). When we got home, we mounted the plant hangers over or next to four windows in our house and put the solar lamps on them. Then, we hung the other two on the house, next to the front and back doors. In the late afternoon or early evening, we would open up the blinds to allow the sunlight to "charge" the indoor lights. The outdoor lights took care of themselves. At night, we had free household lighting that would last until sunrise if we'd charged them long enough! We kept a piece of nice material in rooms that we needed to sleep in, in order to cover the lights when it was time to go to sleep. The day after we started doing this, we had a neighbor call us to let us know that we'd left both our porch lights on overnight. We asked if it had disturbed her. "No," she said, "I was just worried about your electric bill. Actually, I felt safer when I came home from work and they were on, because I could see to put my key into the lock!" "Well," said my roommate, "You'll feel safer every night then, because we're leaving them on from now on. In fact, we can't turn them off! They're solar lamps and the power is free!" I hope that this tip is useful to all of you and to your readers. I bought solar lights at WalMart for $.97 each and decided to use only the top portion, or solar panel part, to make my own night lights for inside the house. First I got some Kerr jars and added clear glass rocks to the fill part way up the jar. Then I made sure the top portion of the solar lights were energized by placing them in my window sill for a few days. 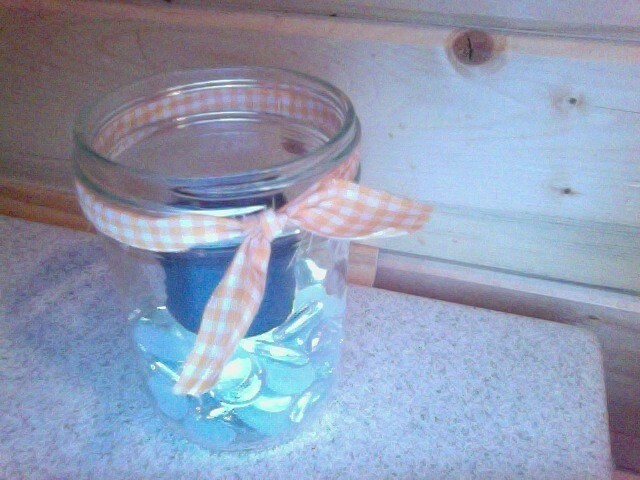 Next, I found fabric that matched my house and tied around the jar top. The energized lights were placed inside the jar on top of the rocks. The clear, smooth, rocks help illuminate the jar more than just the light. Now I have night lights for when the electricity goes out. They look pretty too. I found solar mini twinkle outdoor lights at my local Walgreen's. They are LEDs and didn't cost much. 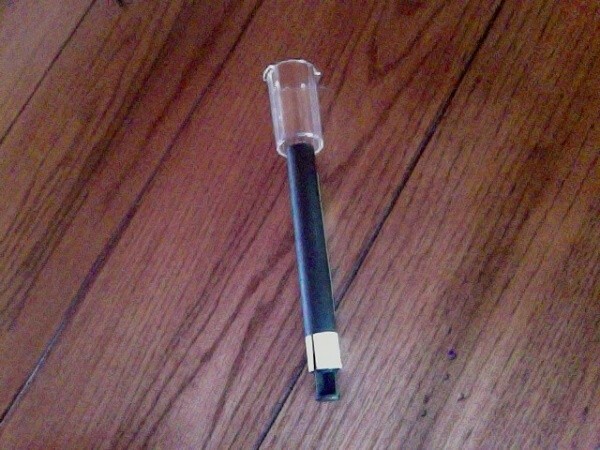 I bought clear so I can decorate for Christmas, and then use them in my garden or down my sidewalk all year, with no cost for electric or worrying about turning them on and off. Using outdoor solar spot lights indoors can easily light up any room. I've installed my lights in each room of my home, and it creates an ambiance atmosphere, reflecting off the ceiling, without needing any additional lighting. Small holes are drilled through the walls and connected to an outdoor panel.